Immaculate & spacious 3 bedroom villa with fully finished walkout and great mountain views. 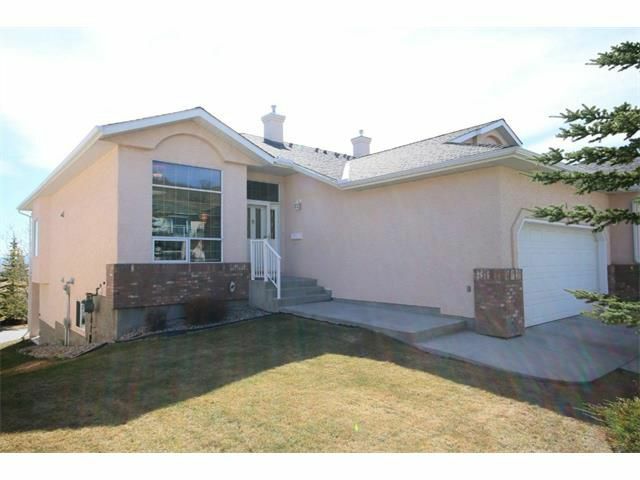 Welcome to 4 Eagleview Place, Cochrane, Alberta, where the 'lock and leave' lifestyle awaits. The 1622 sq ft main floor features an open plan with 10 foot ceilings, transom windows, site finished hardwood and lots of windows to bring in the views. The lower level features in floor heat, a wet bar, 9 ft ceilings, and a 2nd fireplace. Many upgrades abound in this 'like new' home, including a b/i vac system, alarm system, and b/i speakers. A fully finished dbl attached garage puts the finishing touch on this great property. Book your viewing today.